In collaboration with Nicole of that entertaining fountain of information, Tiaras and Trianon we would like to present a two piece article consisting of six sets of people in which we pair them off according to similar backgrounds or how they were connected and then invite them to dinner; then we sit back and watch the silverware fly. Yes…we are rather abominable, aren’t we? But that’s what happens when one feels the need to include pairs that don’t exactly see eye-to-eye with the people they’ve been partnered with. For those of you who read these two names and automatically think 1912, well done – you speak Titanic like a pro. Margaret Brown nee Tobin had humble beginnings in the American West. As the daughter of Irish immigrants she had grown up in a rather poor family. It would not be until many years later that Margaret would be afforded a wealthy lifestyle after her husband’s hard work in the mining industry paid off. After that Margret began her ascension into society. She took up the cultural pursuits of a Victorian socialite and also took care to help out her fellow man through philanthropic work. But anyone who mistakenly sized Mrs. Brown up as a frou-frou lady would be in trouble of meeting up with a very formidable opponent for she was all grit. Like Margaret, Robert Hichens too had humble beginnings. The son of a fisherman he was no stranger to the sea. But unlike his father, Robert did not restrict his seagoing career to local waters. At the age of 18 he struck out on his own and joined the Royal Navy Reserve (RNR). It brought him advancement and adventure, the latter which he would see a great deal of in his lifetime. In time, hopefully, he would obtain a deck officer’s position. In April 1912, Margaret and Robert found themselves aboard one of the latest ships of the White Star Line. RMS Titanic. As we all know, on the fourth night out the ship struck an iceberg. At the time of the collision Robert had been the quartermaster at the helm. After inspections had been carried out it became apparent the great ship would not survive for much longer. Hichens left the bridge to help with the loading of the lifeboats. And so began the beginning of a very long night. It was in Lifeboat No. 6 that Margaret and Robert found themselves ill-matched boat mates; Margaret as a passenger and Robert as commanders of the little vessel. Suffice it to say the pair didn’t hit it off so well. Very soon they had had a run-in but the last straw came when a transfer took place between No. 6 and No. 16 (a much-needed sailor was taken aboard No. 6) and Margaret attempted to take charge. “Sit down there, sit down! I’ll give the orders around here.” Robert told her. Situated at the tiller and clad in clothing that did little to protect him from the harsh cold of the North Atlantic, Robert was the ultimate commander of the lone boat with orders to row for the SS Californian whose light could be seen in the distance (he would eventually give up this decision). Time passed after Robert told her to sit down and again Margaret managed to annoy the quartermaster. After the fireman from No. 16 had been brought aboard Margaret told the new addition to cut No. 6 lose. With both Margaret and Robert at the end of their tethers the pair nearly came to blows. To Robert Margaret shouted “If you take one more step towards me, I’ll throw you overboard.” If it hadn’t been for the levelheaded reasoning of other passengers it is likely that one or both would indeed have gone overboard, in this observer’s opinion. In any case, they both made it to safety aboard RMS Carpathia. And so now you see what an interesting pair these two would have been to have over for dinner. John Andre, the eldest of his siblings, was destined to follow in the business footsteps of his father. When his father died John was left to shoulder the responsibilities of caring for his mother and younger siblings. However, after his intended jilted him John entered the military. John proved very popular among his comrades. Ambitious and also amiable he made many friends among his own, as well as his enemies (Henry Knox and Alexander Hamilton were just a few of the American officers who found Andre to be a very likable sort). Given that, it is no surprise then that when appointed as aide to widower Sir Henry Clinton the pair got along well. And that was no small feat. Henry was known to be a rather cantankerous man who made it very difficult to be friendly. He fought with his superiors; he fought with his equals; he fought with his juniors. *tongue-in-cheek* Well perhaps it wasn’t that bad as he does seem to have worked well with his aides. Henry’s standoffish nature was likely misinterpreted at times as being pretentious. 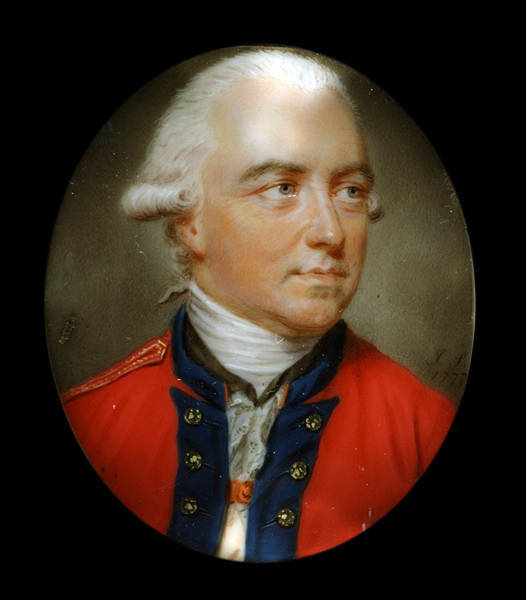 In a letter to a friend he wrote “I kept my distance and seldom spoke until my two colleagues [William Howe and John Burgoyne] forced me out”. (Introvert, anyone?). John, on the other hand, seems to have been well-schooled in the art of diplomacy. He quickly became a favorite of Henry’s. When negotiations opened up between the British and Benedict Arnold regarding Arnold’s betrayal, John was the lucky fellow to cross into American lines to meet with the “unappreciated” American general. Henry made sure to give John clear instructions of what not to do while behind enemy lines [i.e. don’t shed the uniform!]. Unfortunately, John chose not to follow those orders and so his life was sacrificed for Arnold. There is little doubt Henry would gladly have swapped Arnold back for John as George Washington had requested, but there was a little thing called honor that would not allow for such an exchange. As John had ditched his uniform and donned the clothing of a civilian at Arnold’s insistence Arnold was ultimately responsible for John’s death. Whether Clinton forgave Arnold for the death of his favorite aide we can only wonder. We do think, however, that it didn’t make Arnold Clinton’s favorite person. Sarah Emma Edmonds is one of the best-known legends produced by the Civil War. A Canadian by birth Sarah had escaped an arranged marriage and then masqueraded as a man to support herself. When war broke out in the States she joined the Union Army. 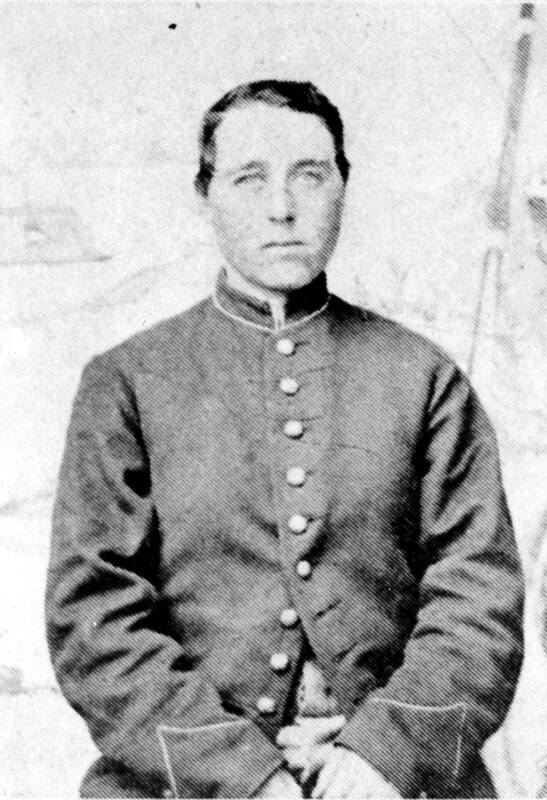 Sarah, or Private Franklin Thompson, entered into the service of Uncle Sam as a nurse. After going through some of the most famous battles of the Civil War in 1863 she deserted. The reasons are a bit muddled. One story goes that she came down with malaria and to escape discovery she deserted. Another theory is that she fell for an officer, but after he married and then resigned to go home to his ailing wife, Sarah deserted out of heartsickness. In any case, after the war Sarah eventually married. And that’s when she went public with her story. Her accounts of her life as a soldier probably contain exaggerated and completely made-up tales while hiding some truths, but the public enjoyed her derring-do all the same. And it seems Sarah too enjoyed the notoriety her confessions brought. That she was not a man did not come as a surprise to some of her comrades for some of them knew but had chosen to keep her secret. Little is known about Jennie Hodgers. She was a very private person and when she chose to share her background it consisted of conflicting stories that little sense could be made of (although that she was an Irish immigrant is widely accepted). What we do know about her upon observing her life from the time of the Civil War to her death is that she was a very hardy person who was well-liked by her friends. Her comrades were flabbergasted when they learned Albert D. J. Cashier was a Jennie Hodgers. Yet they chose to stand by her when she was accused of robbing the government of her well-deserved pension (a little misunderstanding when Jennie’s identity was discovered). After the war Jennie continued to masquerade as a man and no one was ever the wiser. But in 1910 Jennie was hit by a car. She had to be hospitalized and that was when her secret was discovered. After the accident her mind began to deteriorate and she was never quite the same person. She died just five years after the accident seemingly a rather miserable person (she was forced to wear dresses after being admitted to a mental institute). Unlike Sarah, Jennie did not care to expound much on her life, nor did she embellish the facts (that is if we are to ignore all the redherrings she fed to reporters, curiosity seekers, etc). It would seem that whatever happened in the past, she preferred to leave it there. Sources: Billias, George. George Washington’s Opponents; Blanton, Deanne and Lauren M. Cook. They Fought Like Demons; Gansler, Laura. The Mysterious Private Thompson; Hatch, Robert. Major John Andre; Iversen, Kristen. Molly Brown: Unraveling the Myth; Nilsson, Sally. The Man Who Sank Titanic. Enjoyed reading it and great post. Glad to see you again. Thank you, Kathy, always good to hear that enjoyed. The female civil war soldiers was very interesting. I do not think I had ever read about them. I’ve missed you! Great pairings. I always had a soft spot for John Andre. Wow…that was so eloquently written that I’m afraid to be the follow-up! Well done! My favorite pair (surprise surprise) is definitely Brown vs Hichens. Hilarity during tragedy. I think Arnold should be one of the staff at our dinner party. Maybe he can serve soup. Is that degrading enough for a traitor? Don’t be silly, you’re posts are always well done. 😀 The personal observations bring a lot of life and personality into the retellings too. Looking forward to your follow-up! Hello! So good to hear from you. Many thanks, Laurie. Hodgers ‘ story has always pulled me in. I’ve wanted so much to know about her life and had at one time considered doing some serious research. But alas other thins take dependence. Thanks for stopping by, I’m sure you’ll love Nicole’s follow up. She was quite the character, was she not? Thanks for stopping by. Wonderful storytelling. I always enjoy reading your posts, the world around me fades away and I am swept back through time. I think you will have a very interesting and possibly quite rambunctious dinner party. I initially thought that for Margaret and Robert’s meal perhaps it would be wise to serve the courses on paper plates as they would certainly fly to meet a violent demise against the walls! But thinking again, I believe they were both high-spirited enough to enjoy the sounds of the china and porcelain coming to their untimely and shattering deaths! Love history, love biographies, loved your blog! I see I have a lot to catch up on – the history of everything ever! Love your blog and thank you for visiting mine. Haha! Thank you, Chris, so glad you like the blog. It is a delight and I love history so looking forward to delving in! Take care. History is almost inexhaustible and I like to think that’s why it appeals to so many people. A little something for everyone. 🙂 Enjoy what’s left of the weekend! I just stumbled upon this post. Is this a historian’s answer to the sports world’s fantasy football/baseball games? I like it. Glad to hear you like it. It would be a fun dinner to observe (behind an impenetrable glass case! ).